In the third quarter, the automaker reported a loss of $330 million, which ended a string of five consecutive profitable quarters. The drop was due to a one-time charge to cover the cost of future recalls and vehicles lost in a plant explosion in China. Chief Executive Officer; Chairman, FCA US LLC; CEO, Fiat ChryslerAutomobiles N.V.; Chairman of Ferrari S.p.A.; Chairman, CNH Industrial N.V.
Marchionne became a member of the Fiat S.p.A. Board of Directors in May 2003 and CEO in June 2004. In June 2009, Marchionne was appointed CEO of Chrysler Group LLC (renamed FCA US LLC in December 2014) and, in September 2011, also assumed the role of chairman. He became CEO of Fiat Chrysler Automobiles N.V. and Chairman of Ferrari S.p.A. in October 2014. He began his professional career in Canada. 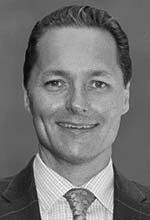 From 1983 to 1985, he worked for Deloitte & Touche and from 1985 to 1988, he was with the Lawson Mardon Group of Toronto. 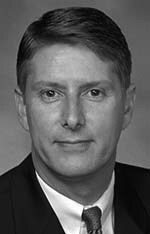 From 1989 to 1990, he served as executive vice president of Glenex Industries and from 1990 to 1992, he was CFO at Acklands Ltd. From 1992 to 1994, he was vice president of legal and corporate development and CFO of the Lawson Mardon Group. He later covered various positions of increasing responsibility at Algroup, headquartered in Zurich, Switzerland until becoming its CEO. 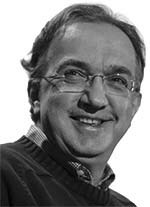 Marchionne then went on to head the Lonza Group Ltd., first as CEO and then as chairman. Bigland is in charge of FCA’s U.S. sales strategy, dealer relations, order facilitation, incentives, and field operations and has full responsibility for FCA Canada’s commercial operations and legal entity. As part of his sales role, he assumed responsibility for fleet in the North American region in October 2015. 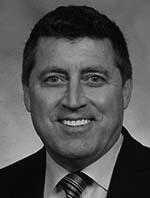 Previously, Bigland was CEO of the Ram Truck and president of Freightliner Custom Chassis Corp. He was also director of U.S. sales and director of human resources for Western Star Trucks, a manufacturer of heavy-duty trucks used in the logging, mining, and drilling industries. He held various management positions with Canadian Airlines International that operated from 1987 until 2001. Headquartered in Calgary, Alberta, the airline was Canada’s second largest airline after Air Canada, and carried more than 11.9 million passengers to over 160 destinations on five continents at its height in 1996. 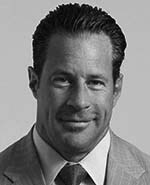 Bigland holds a Bachelor of Arts degree from the University of British Columbia. Cattori serves in the dual roles of president and CEO of FCA México and as the unit’s sales director. He had been president and CEO of Mercedes-Benz México. Earlier in his career, Cattori worked in various positions at Chrysler de México, including director of marketing and advertising, where he oversaw marketing planning, advertising, and pricing and incentives for the Chrysler, Dodge, and Jeep brands. He holds a master’s in business management from Instituto Tecnológico Autónomo de México and a bachelor’s in mechanical and electrical engineering from Universidad Iberoamericana. 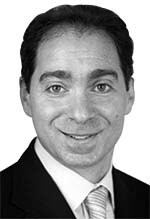 François serves as the lead marketing executive for the Chrysler and Fiat brands. He was president and CEO, Chrysler brand, at the former Chrysler Group LLC, since October 2009. He assumed marketing communication responsibility in 2009 for coordinating communication activities for all of the automaker’s brands. In 2012, Advertising Age magazine named Chrysler Group the “Marketer of the Year” for a series of advertising campaigns that resonated with consumers and increased sales. In September 2015, Breneiser took over research and planning of all future vehicles in the North American market. Previously, he was director of portfolio and product planning. Before that, Breneiser held various other product development positions. Breneiser joined Chrysler Corp. in 1992 as part of the Chrysler Institute of Engineering, the automaker’s highly successful rotational program for incoming engineers. He has held several positions of increasing responsibility in leading the engineering, manufacturing, and finance organizations. 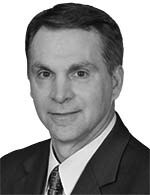 Chernoby previously was senior vice president of engineering, FCA-US, where he was responsible for all vehicle line platform programs along with vehicle development analysis and validation. Since joining the automaker in 1985 as a powertrain engineer, Chernoby has made use of his experience in focused component engineering, advanced vehicle programs, and vehicle homologation. 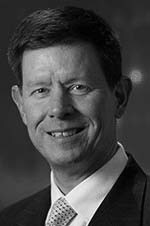 He was elected chair for the SAE Technical Standards Board and serving on the Hydrogen Technology Advisory Committee reporting to the U.S. Secretary of Energy. In December 2015, Dahl assumed responsibility for assuring the company’s compliance with all safety, emissions, and fuel-economy regulations. He replaced Scott Kunselman, who retired to become COO at Oakland University. Previously, Dahl was director, gasoline/diesel engine programs and global powertrain coordination where he led the development and launch of six new engines, including the 3.0-liter EcoDiesel V-6. He also served as director, supplier quality. He joined Chrysler Corp. in 1985. In March 2015, Gardner replaced Peter Grady, who retired. His responsibilities include ensuring that the dealer network operates at the highest possible level for optimal sales volumes for Alfa Romeo, Chrysler, Dodge, Fiat, Jeep, Ram, Mopar, and SRT vehicles and products. Since 2013, Gardner had been president and CEO Chrysler Brand, Chrysler Group LLC. Prior to that, he was responsible for overseeing dealerships in six southern states. Since joining the company in 1986, Gardner has had experience in sales, service, and business center operations. In April 2015, Gilles was named to his new position. Previously, he served as senior vice president – product design and president and CEO — Motorsports, FCA — North America; president and CEO-SRT brand; and president and CEO-Dodge brand for FCA US LLC. He was named vice president for design in 2008. He joined the former Chrysler Corp. in 1992. 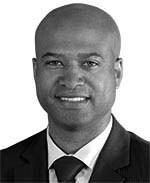 Gilles serves as executive sponsor of the Chrysler African American Network and plays a leading role with the Chrysler Global Diversity Council. An avid car enthusiast, Gilles enjoys watching Formula 1 auto racing. Gorlier was appointed to the FCA components position, and to CEO of Magneti Marelli, a U.S.-based automotive supplier, in May 2015. He retains his responsibilities at Mopar. In the latter role, Gorlier has shared responsibility with the brands for parts and services growth and delivery, and customer support. He joined Chrysler Group in 2009 from Fiat Group Automobiles where he had worked since 1989 in various aftersales and customer care positions. Starting in October 2015, Hegbloom became responsible for the sales and marketing of FCA’s truck brand. Previously, as director, Ram brand product marketing, he oversaw all current and future Ram brand-related products and marketing initiatives. 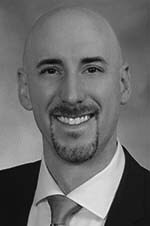 Hegbloom has also served as director of truck, large SUV, and commercial vehicle product planning with responsibility for current and future pickup trucks, E-segment SUVs, and commercial-related vehicles. 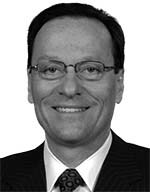 Hegbloom joined the former Chrysler Corp. in 1986 as a service and parts district manager in Washington, D.C. In his new role that began in October 2015, Kuniskis has full responsibility for the sales and marketing of the Dodge, SRT, Chrysler, and Fiat brands. 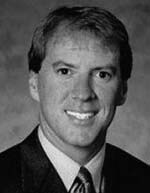 Previously, he served as president and CEO of the Dodge and SRT brands, head of the Fiat brand for North America, and director of brand marketing for Chrysler and Fiat. 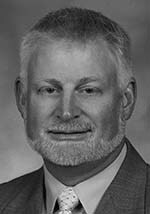 Kuniskis joined Chrysler Corp. in 1992 and since then has held a series of positions of increasing responsibility in the automaker’s business center operations and marketing organization. 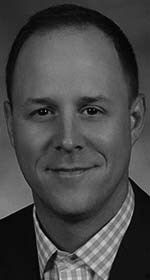 Appointed to the global Ram position in October 2015, Manley continues to serve as head of Jeep Brand, FCA – Global, and is the lead executive for international operations, where he oversees the implementation of cooperation agreements for distribution of FCA — North America products through the company’s international distribution network. 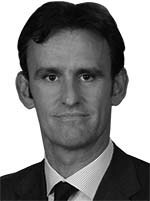 On an interim basis, Manley is overseeing FCA’s Asia Pacific region, with the assistance of other executives. Appointed in March 2015, Materazzo will be responsible for overseeing all manufacturing facilities in the U.S., Canada, and Mexico with a focus on eliminating waste, increasing productivity, and improving quality and safety environmental regulations; and achieving production targets. This assignment is in addition to his current responsibilities for World Class Manufacturing expansion at the automakers’s 37 manufacturing facilities in North America. Previously, Materazzo was the plant manager at Fiat’s Giambattista Vico plant in Pomigliano, Italy. Appointed in June 2015, Shagena replaces Alphons Iacobelli, who retired. Prior to this position, Shagena served as director of human resources, FCA Mexico. He is the lead representative for labor relations; integrated health care and disability; retirement and savings; manufacturing HR/ER; occupational safety and health; FCA Mexico and FCA Canada HR/ER; labor economics and benefit finance; and the UAW-Chrysler National Training Center. 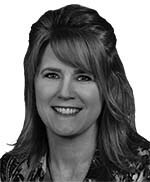 Shagena joined Chrysler Corp. in 1985 as a labor relations representative. Effective October 2015. Previously, Stoicevich oversaw the Fiat brand in North America, which includes sales, marketing, dealer network, and service. He retains the position of director of Chrysler Group’s California Business Center. 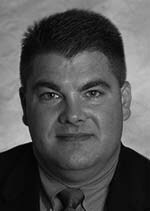 In his 10 years with Chrysler, Stoicevich has also served as senior manager, Jeep brand marketing mix and product optimization; senior manager, retail sales promotions; manager, assistant sales operations; and dealer operations manager, Southeast Business Center. Beahm is responsible for critical volume planning and logistics functions in coordination with the brand CEOs. He will also work to improve service levels, increase capital efficiency, optimize demand and supply; and establish consistent and effective supply chain processes. Beahm was vice president, sales operations, FCA US, where he managed sales planning and incentives, retail sales promotions, dealer relations, field operations for sales, small business sales, and Certified Pre-owned Vehicle sales. 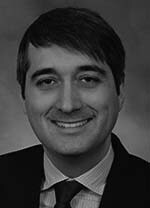 Senior Vice President; General Counsel, Fiat Chrysler Automobiles N.V.
Fossati was appointed to the board of directors of FCA US in June 2014, and since 2011, has been FCA’s general counsel. He also retains the title of general counsel for FCA’s Europe, Middle East, and Africa region. 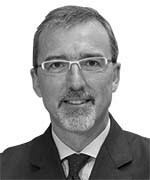 Previously he was general counsel for FCA Italy S.p.A., following other positions of increasing responsibility. 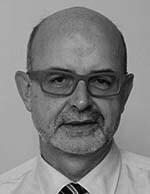 Prior to that, he worked in the legal department at Iveco S.p.A., among other positions. Fossati earned his master’s degree from the University of Turin School of Law. He is an Italian citizen. and logistics functions in close coordination with the brand CEOs. Previously, as the company’s senior vice president, purchasing and supplier quality, Kunselman was responsible for all purchasing and supplier quality activities, including product-related components and indirect suppliers and services. He had also served as senior vice president, engineering, with oversight of component engineering, vehicle line platform programs, international engineering, advance vehicle development and innovation, powertrain product engineering, product technical planning, and regulatory affairs. Loeb is responsible for FCA’s global legal functions including corporate governance, commercial and corporate transactions, product litigation, dealer and trade relations, regulatory and environmental affairs and intellectual property. 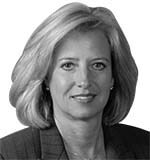 She joined Chrysler Group in 2010 as an assistant general counsel. 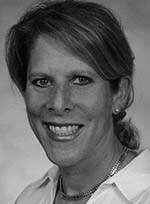 Before that, she served as the assistant general counsel and secretary-corporate and securities for Delphi Automotive Systems and was a principal at the Miro Weiner & Kramer law firm in Bloomfield Township. Palmer is responsible for all of FCA’s finance activities including corporate controlling, treasury, and tax. He joined Chrysler Group LLC from Fiat Group Automobiles, where he had been chief financial officer since 2006. 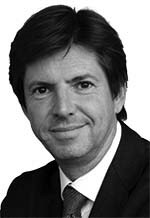 Palmer joined the Fiat Group in 2003 as CFO of Comau, and later moved to Iveco in the same role. From 1997 until 2003, he served as finance manager for several business units at General Electric Oil Gas. 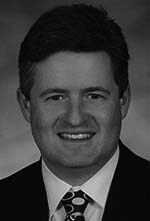 Palmer spent the first years of his career as an auditor with United Technologies Corporation and Price Waterhouse. Ranieri joined the former Chrysler Group in June 2009 from Fiat Group, where he led international communications. He was also responsible for communications at Case New Holland, a manufacturer and seller of agriculture and construction machinery, which is part of the Fiat Group. Earlier in his career, Ranieri was a producer for the BBC and a London correspondent for RAI, the Italian broadcasting corporation. He is a Rotary International Paul Harris Fellow and has lectured at Harvard Business School, New York University, and MIT. Trapasso provides strategic direction for FCA’s international, federal, and state government relations, while coordinating the activities of the corporate representative in Latin America. He leads the company’s community relations and employee volunteerism efforts, and the FCA Foundation. 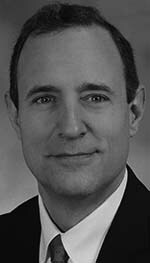 Previously, Trapasso was with the international law firm of Crowell & Moring where he was senior counsel, advising clients on public policy matters on both domestic and international issues. He also has held senior-level positions within the federal government. Barman oversees systems and component engineering for the company’s entire vehicle lineup. Previously, she held the position of unit responsible-electrical and electronics engineering, FCA — North America. Barman joined the company in 1994 as part of the Chrysler Institute of Engineering program. A background in advance chassis controls, driver assistance system engineering has benefited her throughout her career. Barman was named to Fortune’s Top 10 Most Powerful Women in the Automotive Industry in 2013. 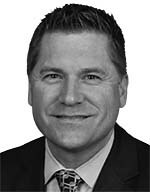 Vice President; Chief Operating Officer, FCA Canada Inc.
Buckingham is responsible for the day-to-day sales and marketing operations of FCA Canada, which, as of November 2015, has reported 72 months of consecutive year-over-year sales growth. He has served in this position since June 2011. Previously, as vice president of sales, Buckingham was responsible for all sales development and strategy, business management, dealer development, retail strategies, fleet sales, and business center operations in Canada. 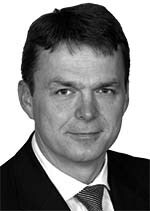 Buckingham joined Chrysler in 1988 and has worked in the Toronto and Calgary markets. Finelli is responsible for all purchasing and supplier quality activities, including both product-related components and indirect suppliers and services. Previously, as director, global standardization for purchasing, he led the development and implementation of plans to ensure component standardization with the goal of driving cost competitiveness across vehicle architectures and geographic regions. 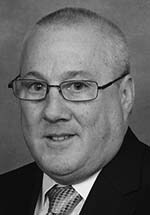 Finelli joined the auto company in 1995 as an engineer responsible for truck safety systems. Harlow is responsible for all assembly, stamping, and powertrain manufacturing operations in the U.S., Canada, and Mexico, as well as implementation of FCA manufacturing system at all of the company’s manufacturing facilities. 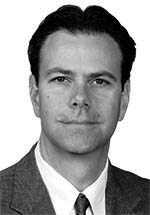 Previously, Harlow was global head of powertrain manufacturing engineering and vice president and head of NAFTA powertrain operations in the U.S. and Canada, and had global responsibility for Fiat and Chrysler powertrain manufacturing engineering. 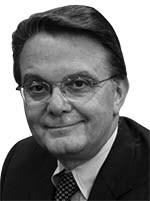 Harlow joined Chrysler in 1978 as a plant engineer. Kommor is responsible for sales planning and incentives, retail sales promotions, dealer relations, field operations for sales, small business sales, and certified pre-owned vehicle sales for all FCA brands. He joined the company in 1985 as a service and parts district manager and has held field operations positions in Syracuse, Phoenix, Los Angeles, and Detroit. Prior to this appointment, he was director of the company’s Northeast Business Center in New York, responsible for sales in the seven-state area covered by the center. Lee is responsible for directing the design, development, and release of all engines and electrified propulsion systems for FCA products. He joined the company in 1978 as an engineer-in-training and has since held a variety of positions in powertrain. 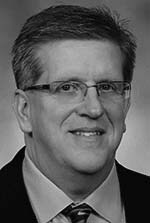 Lee has been an a member of the Society of Automotive Engineers since 1978 and is a founding member of the SAE North American International Powertrain Conference Leadership Team. Liddane is charged with improving Chrysler Group’s overall quality and customer satisfaction. He had been vice president, systems and components, and vice president, vehicle concepts and integration, where he had responsibility for regulatory affairs and product analysis. He also served as vehicle line executive for SUVs, with responsibility for all sport utility vehicle engineering programs. He also was chief engineer for Jeep, where he managed Jeep Wrangler and Liberty and Dodge Nitro engineering activities for the automaker. Lux leads the team responsible for the design, development, and release of all transmission and driveline systems. He also supports efforts to coordinate powertrain activities on a global basis. Lux joined Chrysler Group in 2014 from General Motors Co., where he most recently served as executive director, powertrain new product launch, and was executive director, global powertrain quality; vice president, GM Europe powertrain engineering; and global chief engineer, front-wheel-drive hybrid electric drive units, among other duties. Macaddino is responsible for ensuring that all vehicles produced and sold by FCA meet financial requirements, including cost, investment, and profitability. 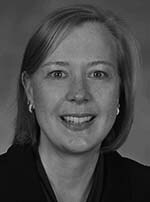 Previously, she was vice president of finance operations and vice president of corporate audit and compliance. 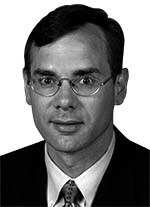 Macaddino was senior manager of corporate audit and senior manager of the treasury pension fund, Chrysler Canada. She is a member of the American Institute of Certified Public Accountants and the Michigan Association of Certified Public Accountants. engineering, vehicle line programs, advance vehicle development, architecture, innovation, and product technical planning. He also oversees vehicle testing and validation. Previously, as vice president — systems and component engineering, he oversaw systems and component engineering for the company’s entire vehicle line up. After working as a summer line worker while pursuing his engineering degree, Nigro joined the former Chrysler Corp. as a product engineer in January 1984. 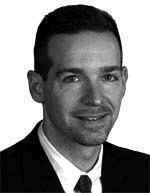 Pilarski oversees the negotiation of strategic global partnership arrangements for FCA and manages alliance relationships. Previously, Pilarski served as executive director of mergers and acquisitions, North and South America, where she oversaw all aspects of merger, acquisition, and divestiture activities. 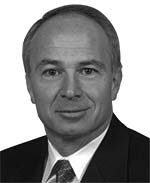 Pilarski joined Chrysler in 1985 as a financial analyst and has held several leadership positions within the company. She earned a bachelor’s degree in finance from Wayne State University and an MBA from the University of Michigan. 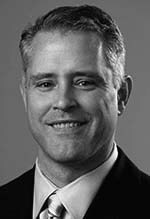 Appointed October 2015, Talbot replaces Scott Sandschafer, who left the company. He is responsible for all information technology applications and infrastructure in support of business units located in the United States, Canada, Mexico, and the Asia Pacific region. Talbott joined FCA US LLC in 2010 and has held a series of positions in the information and communication technology department. 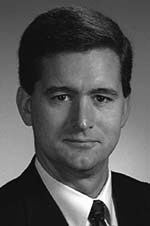 Earlier in his career, Talbot worked for Accenture in Chicago and Avagon Corporation in Florida. Previously, Veltri was responsible for the company’s current and future product planning. From April 2011 to May 2012, he assumed additional executive responsibilities as head of Jeep brand Europe. In this position, he is responsible for building Jeep brand equity in Europe through a defined brand product marketing strategy that aligns with the global brand vision of the company. 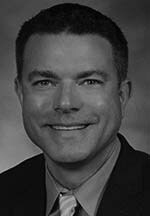 Veltri is a CPA, and joined the former Chrysler Corp. in 1988 as a financial analyst. He earned a master’s in business management from Eastern Michigan University. *Member of the Group Executive Council, the highest executive decision making body within Fiat outside of its board of directors. The GEC is responsible for reviewing the operating performance of the businesses, setting performance targets, making key strategic decisions and investments for the group, and sharing best practices, including the development and deployment of key human resources.